The museum maintains the world’s finest collection of submarine artifacts. 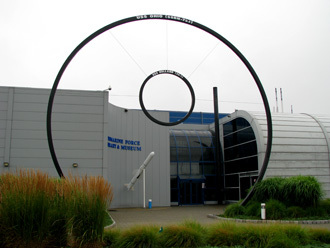 The museum is located adjacent to the Naval Submarine Base New London on the Thames River in Groton, Connecticut. It is the only submarine museum operated by the United States Navy, and is the primary repository for artifacts, documents and photographs relating to the U.S. Submarine Force. The array of material on display is staggering and since 1985, the world’s first nuclear power vessel, the USS Nautilus has been a permanent exhibit. The museum was originally established as “The Submarine Library” by Electric Boat Division of General Dynamics Corporation in 1955, and in 1964, the entire collection was donated to the Navy and relocated to the Naval Submarine Base, New London with the name “Submarine Force Library and Museum” being adopted in 1969. The museum’s collections include more than 33,000 artifacts, 20,000 significant documents and 30,000 photographs. The displays change frequently providing ample new material and exhibits for return visitors. The library is a world-renowned collection on the history of U.S. submarines and is open to anyone looking for information on submarines or submarine history. Some of the many highlights include four miniature submarines that are located along the Front Walk, the Main Hall with its revolving exhibits, and two theaters each showing continuous programs. A full size replica of Bushnell’s turtle (the first submarine) is also on display. The Medal of Honor gallery, which honors the eight submariners that have been awarded the Medal of Honor, is a testament to the bravery, skill and dedication of those that serve in the Submarine Force. The USS Nautilus was launched by Mrs. Dwight D. Eisenhower on January 21, 1954, and the nuclear powered submarine became the first vessel to traverse the North Pole in 1958. 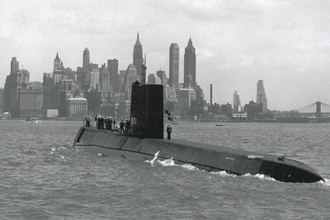 With a compliment of approximately 100 men, the USS Nautilus served her country for over 25 years before being decommissioned in 1980. In recognition of her unique place in maritime history, she was designated a National Historic Landmark in May 1982. 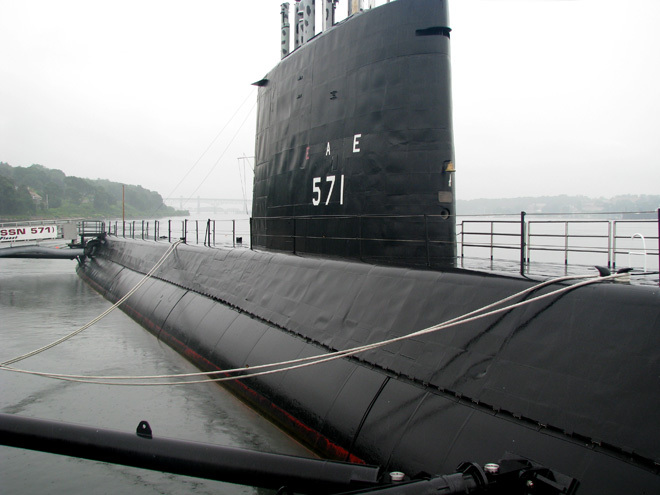 Following an extensive conversion, the USS Nautilus was opened to the public at the museum in April 1986. Handsets are provided as you enter the vessel, which provide an audio commentary as you tour the submarine. It is particularly interesting to see just how tight the facilities are aboard ship, and how the designers utilized every square inch. All members of the crew shared quarters with the sole exception of the Commanding Officer. 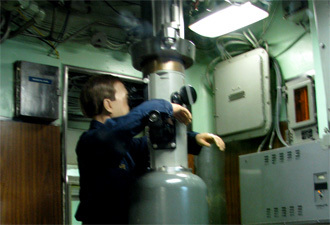 Although handicap access facilities are provided throughout the museum, the configuration of the USS Nautilus limits access and care must be taken onboard. The onsite gift shop offers an array of merchandise from books and clothing to keychains. Membership to the museum is available for purchase and helps support this unique facility. Members receive regular newsletters, invitations to special events at a 10% discount at both the onsite gift shop and the online and mail order store. Membership can be purchased at the online store or at the gift shop. Admission to the museum is free but donations are of course welcome. 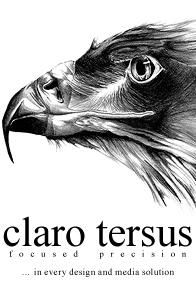 Further information can be found at the museum’s website.